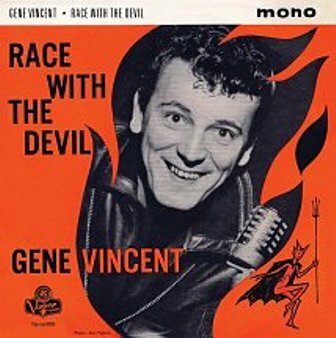 GENE VINCENT & HIS BLUE CAPS Race With The Devil ,4-track 7" vinyl EP Remastered audio. Very rare extended play record now available in its original sleeve. 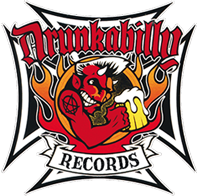 Liner notes by Max Decharne, Mojo writer & author of rockabilly book 'A Rocket In My Pocket '. Limited pressing of 450 copies. Housed in sturdy picture sleeve with 3mm spine and white inner bag. 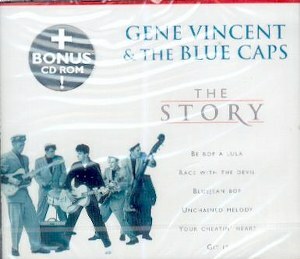 More than sixty years later, Cliff Gallup’s picking can still leave seasoned guitarists open-mouthed, while Gene’s ultra-tough vocal delivery is a masterclass in street-gang nonchalance. On this form, no-one could touch them.